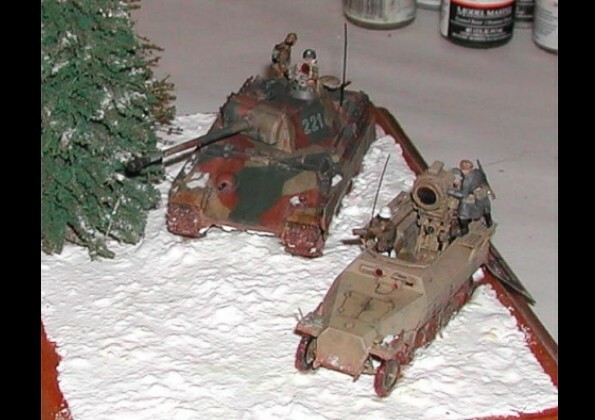 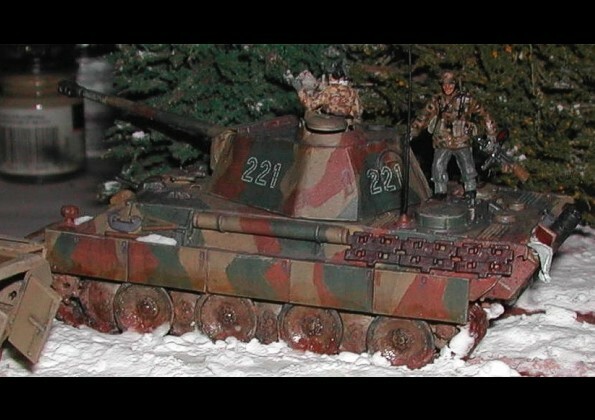 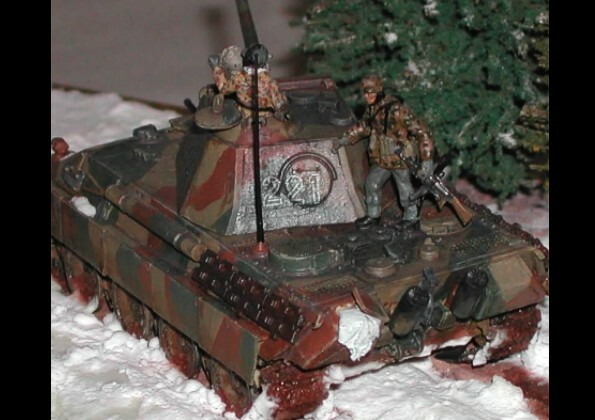 This diorama depicts a night action near Kustrin in 1945. 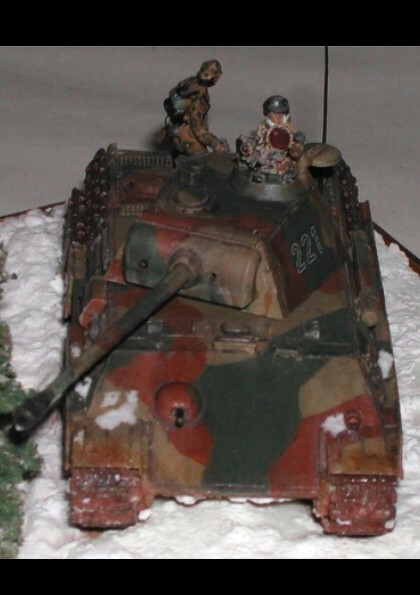 The Panther is being directing into a prime firing position by the UHU. 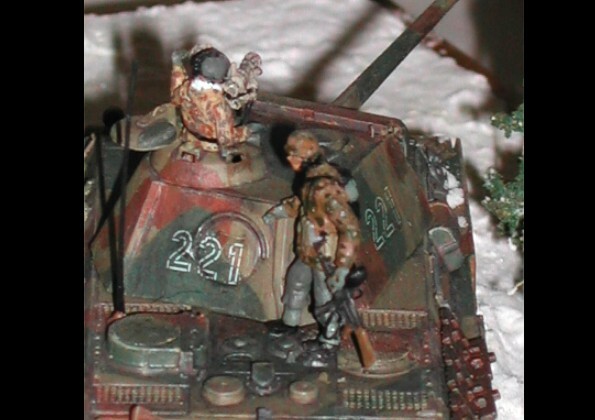 In the dark of night the Russian tanks won’t stand a chance. 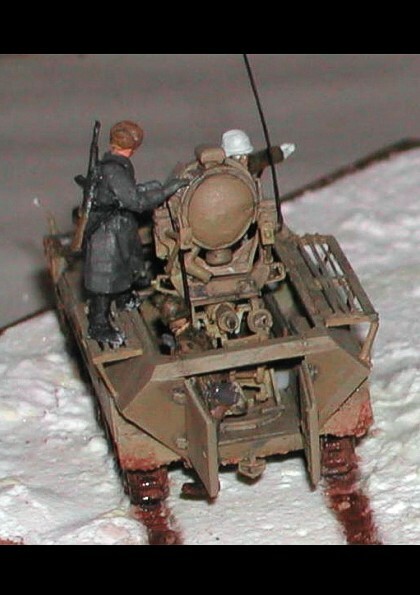 The grenadier on the back of the Panther is armed with a ‘Vapyr’ infra-red MP-44 in case any Russian infantry get too close.